Since 1945, our New Jersey senior movers have been providing quality moving services for the Bergen County area and beyond. When it is time for your elderly loved ones to relocate, our New Jersey senior moving company has the experience and expertise to handle all aspects of the relocation process. As industry leaders in quality service and customer care, Booth Movers is a proud member of the American Moving & Storage Association (AMSA) and the New Jersey Warehousemen & Movers Association. As a BBB-accredited company with a ProMover designation from the AMSA, our team of moving professionals is dedicated to providing our senior customers with the best in New Jersey senior moving services. Booth Movers' affiliation with Atlas Van Lines allows us to have the resources and professional equipment needed to collaborate with you on a relocation that suits your needs and budget. When it comes to New Jersey senior moving services, we understand that care, compassion, and trust are vital to a successful move. To support you and your loved ones through the relocation, our New Jersey senior moving company offers free, in-home moving estimates and a full-service customer support team that will help guide you through the relocation process. No matter where life takes you, our New Jersey senior moving company is the most trusted name in local and long distance relocations. Our customizable New Jersey senior moving services offer quality solutions for any relocation or budget. Local Movers – For local relocations, you need a team of professional senior movers that understand the ins and outs of the Bergen County area. International Moving – International moving can be a stressful process, but Booth Movers has the experience to handle all the details. Intrastate Moving – When moving across the state, our New Jersey senior moving company will help take the stress out of your life transition. Long Distance Moving – No job is too big or small for the most trusted name among senior moving companies in New Jersey. Interstate Moving – Whether you are moving a small apartment or large home, we can make your relocation to a new state a seamless process. Full Service Moving – From packing and crating to expert transport of your valuable items, you can trust Booth Movers with your full service relocation needs. Are you interested in learning more about the New Jersey senior moving services that we offer? 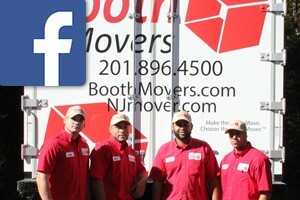 Just give Booth Movers a call today or fill out our online form to request your free, no-obligation moving estimate!